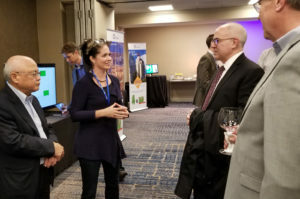 At the Chicago Marriott Downtown Magnificent Mile last month, Texas-based Enseo was demonstrating its distress device, called MadeSafe, that it developed four years ago with the J.W. Essex House in New York. The system, which costs about $100 per room, was manufactured using feedback from the hotel’s housekeepers, said Vanessa Ogle, CEO of Enseo, which provides hotels with in-room entertainment solutions and other technology services. What makes the system effective is its accurate location reporting, Ogle said.